Located just 30 minutes west of Chicago, Oak Brook Golf Club features wide fairways and a variety of hole styles over its 6,500 yard layout. Featuring massive, undulating greens, Oak Brook Golf Club may not be as famous as the neighboring Butler National Golf Club, but it’s a very well maintained track. The course actually played a small part in Western Open history by hosting part of the water-logged 1986 tournament when parts of Butler National were unplayable. Oak Brook Golf Club filled in admirably throughout the tournament, which was won by Tom Kite. Oak Brook Golf offers a large practice area featuring putting and chipping along with a full driving range. 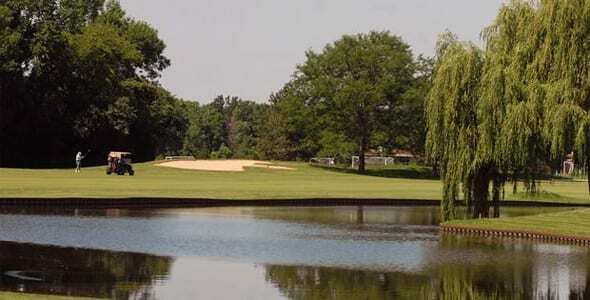 The course is also easily accessible off I-294 near 22nd and York Road in Oak Brook.